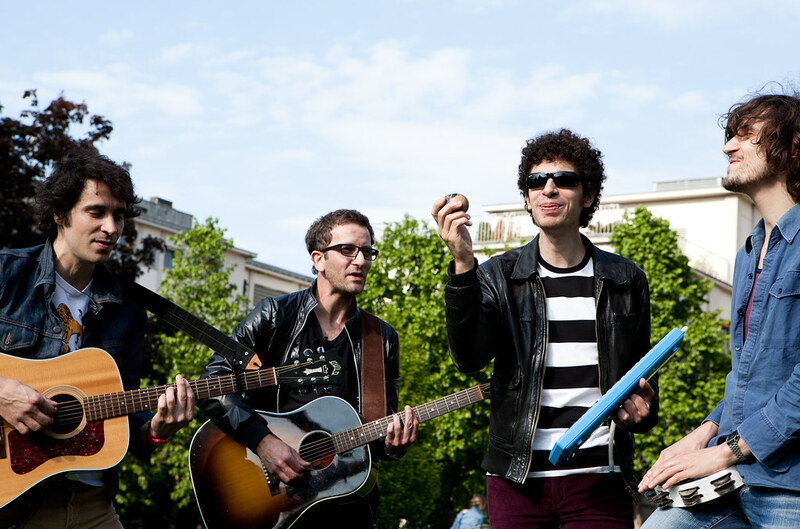 Out of the radio station and into the next playground – what might seem nerve-wracking for others, looks like a welcome change for Tahiti 80. 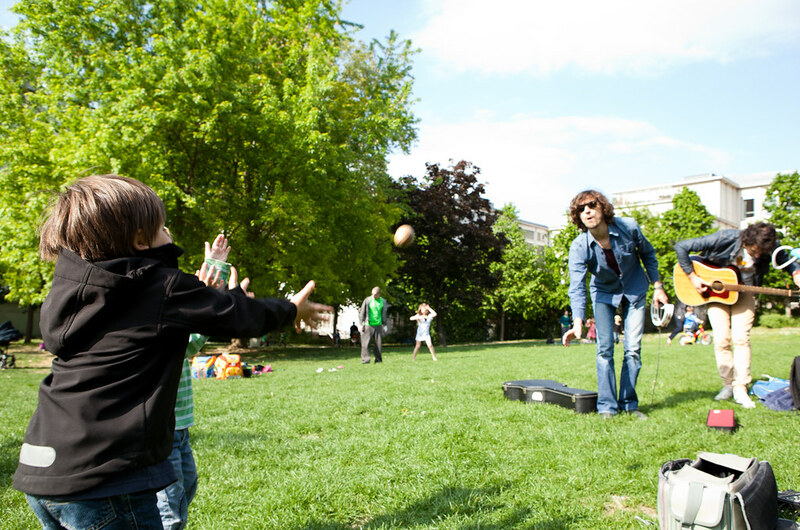 The French band has a busy schedule, but they still take their time to play with the kids. A young boy, who was immediately convinced by their busking qualities, walks up to Tahiti 80 to give them a coin. After the rendition of the light and breezy „Easy“ the kids manage to ask – „What’s your name?“ – in English. 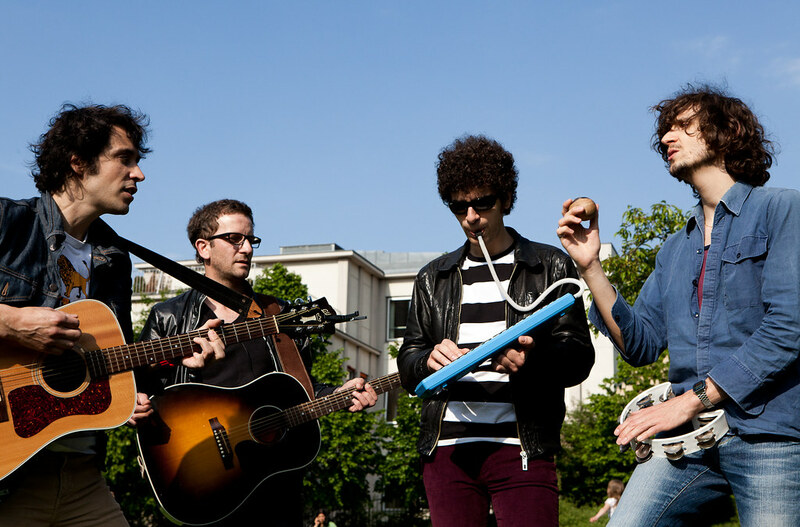 And singer Xavier Boyer promptly answers – „Wir heißen Tahiti 80.“ – in German. 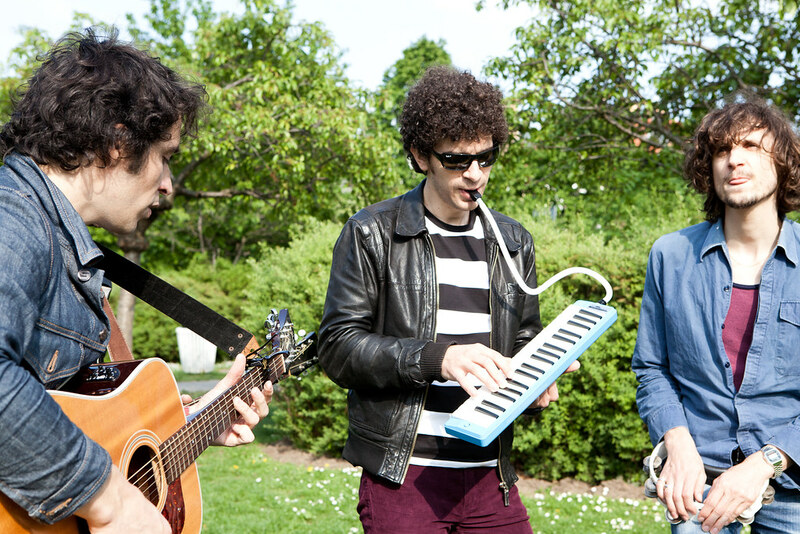 Big clouds appear on the sky when the band sets for the bittersweet and catchy „Darlin’ (Adam & Eve Song)“. 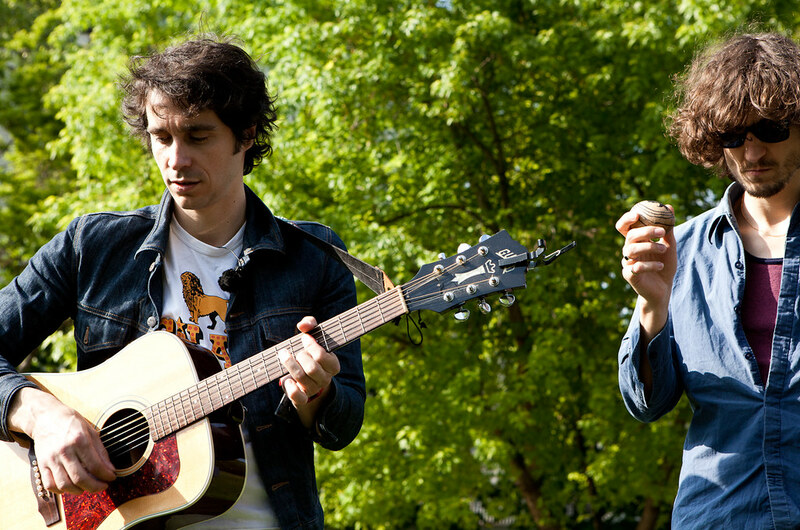 However, soon enough again Tahiti 80 find themselves dazzled by the sun. A last snapshot, an entry in our guestbook – „Ich liebe Kindergarten!“ – and the sunshine boys are off to new shores.